Looking for class with style for your wedding or special occasion? The Sammiin dyeable white satin from Touch Ups provides the perfect additon to your outfit. 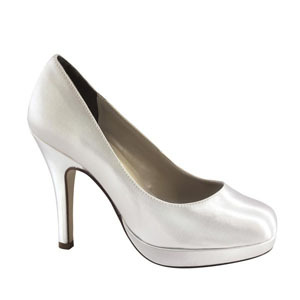 This 4 inch closed toe pump is surprisingly comfortable because of its generous platform design.